Logan + Carlos + Patchy the Pirate. . Wallpaper and background images in the 派对男孩 club tagged: big time rush logan carlos big time rush. OMG Its Patchy the Pirate from Spongebob! 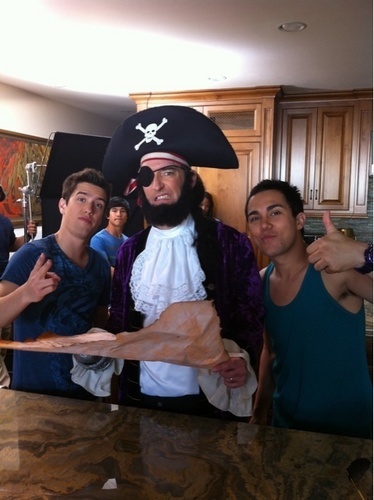 Spongebob + BTR = Epic WIN! OMFG! Patchy! I could not for the life of me think of his name!! Thanks Ninja099!! I shall give you props! and change the pic lol!